The Amazing Grazing III project brought seventeen educational opportunities to Kansas producers between May 2015 and February 2016. We turned our focus onto healthy soils and farm/ranch profitability…just in time to celebrate International Year of Soils in 2015. Topics included agroforestry, mycorrhizal fungi, economics of the livestock industry, grazing, cover crops, pasture soil health, fencing and water development, as well as livestock handling for women. Nationally-recognized presenters included: Dr. Christine Jones, Gabe Brown, Jim Gerrish, Bill Helming, Wes Jackson, Courtney White, and Larry Simpson. Amazing regional educators – Dr. Dale Kirkham, Dale Strickler, Lucinda Stuenkel, Gary Kilgore, Keith Harmoney, Mark Green, Charles Barden, and Shibu Jose – brought a local perspective. Amazing Grazing is a collaboration of the Kansas Farmers Union and the Kansas Graziers Association with funding from the North Central Extension Risk Management Education Center and the USDA National Institute of Food and Agriculture. Contact Mary Howell with project or event questions. Don’t miss an event. Sign-Up for e-Updates! See the complete listing of events! The Amazing Grazing III project brought seventeen educational opportunities to Kansas producers between May 2015 and February 2016. Over 2,000 participants to date. Let’s see what some have to say . . . Bringing farmers and ranchers the programing they request featuring the most outstanding presenters! I plan to share this information with my three sons who manage the farm. I learned that I need a plan, no matter what the conditions are! The range indicators and trigger dates require my attention. 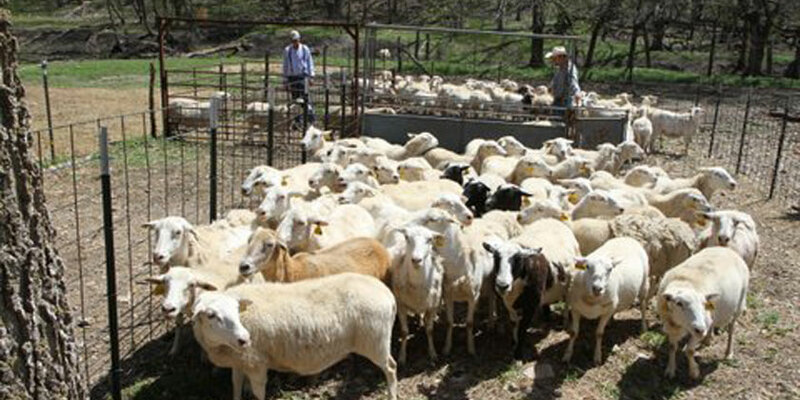 I plan to write a plan that includes trigger dates and goals for the ranch. All of the ranch presenters were really informative. It really helped to watch them in action on their respective ranches. It is good to hear the big name ‘experts’ talk, but this was probably more useful…seeing them in action and getting the perspectives of producer practitioners who don’t have anything to sell. Excellent speaker, as always… I appreciate the continued programming offering the most respected speakers who are also the most knowledgeable folks in the field to come present. Continue doing these workshops! Amazing Grazing is a collaboration of the Kansas Farmers Union and the Kansas Graziers Association. Funding for this project was provided by the North Central Extention Risk Management Education Center and the USDA National Institute of Food and Agriculture under Award Number 2012-49200-20032. Our programing is jam-packed with topics producers like YOU ask for! Make sure you don't miss Amazing Grazing events that address your most pressing concerns! Get our e-news updates! 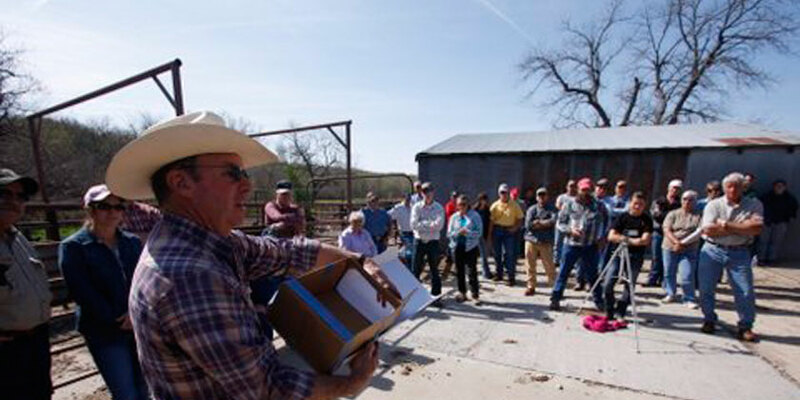 The Amazing Grazing II project brought more than twelve educational opportunities to Kansas cattle, goat and sheep producers between August 2014 and May 2015. The pressure and release strategies for livestock movement taught in today’s workshop with Dr. Locatelli should be applied in the sale barn and feedlot where I work. We need to change how we move the cattle and ride pens. There is too much noise and too many people that results in increased stress to the cattle. The concept that the cows should NOT make the business decisions resonated with me. Now I need to tie this together with some grazing strategies. Nice demonstration of the Bud Box and sorting and handling techniques. I appreciated the discussion of Alan’s ranch philosophy and strategies, especially his emphasis on staying flexible and not always doing things like they have always been done. The slow easy handling style was fun to watch. We have primarily used cover crops for grain crops…we will now try using them to provide fall and summer grazing. We recognize that we really need to set goals for our operation, make plans on paper, use them and keep good records of what happened. I better understand the relationship of plant growth and the impact grazing has on re-growth. It takes grass to grow grass . . . don’t be afraid to leave some grass when you move the cows. Great conference! So much good information packed into one day . . . Ideas that I can take home and use!